The past week may not be the best for me. Along the way however, I was blessed with good times with a few friends. Those random dinners and unplanned meet ups are the best. In the middle of the week, I texted my bestfriend T begging for a weekend dinner. It took only one text message to arrange everything. Thank you forever T!!! I had a great time yesterday. Aside from T, I had an unexpected dinner with my few workplace friends. Blame the traffic that made us walk to the train station. We ended having dinner somewhere in Binondo. 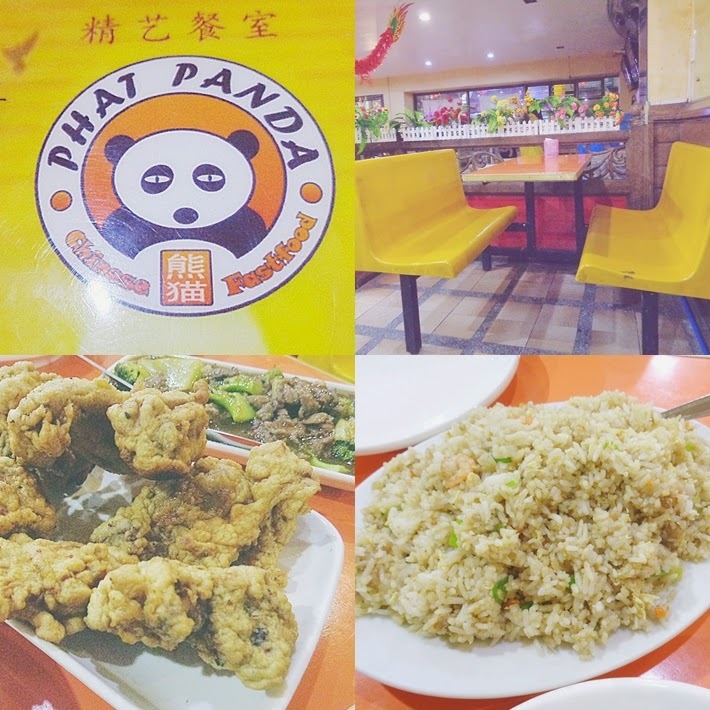 Cheapest Chinese dinner - One of the best things that happened to my Php 100 :) I shared this very cheap yet tasty meal with two friends. Affordable Binondo meal will always be about buttered chicken, beef brocoli and shanghai rice. There's something about the yellow benches - It reminded me of Cindy's and the old foodcourt of SM malls. Classic! 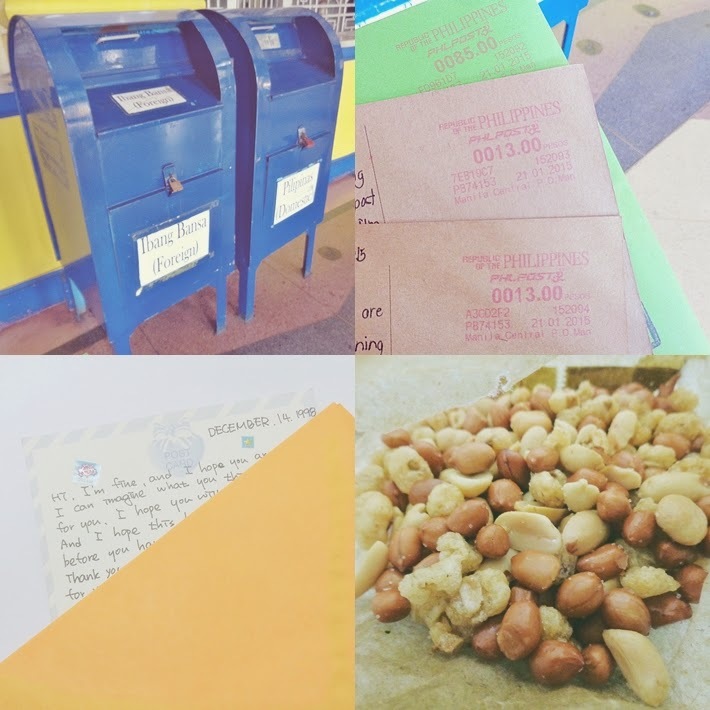 Mailboxes are love - I dropped by the Central Post Office to send my postcards. Hopefully everything will reach its destination. Never mind the delay, as long as my postcards will be delivered. I want to end my 2015 Postcard Challenge with mission accomplished. December 14, 1998 - This is the ultimate throwback! I unearthed a card I received 17 years ago. I have another mission for this year. I'll relate everything on my next post. Binondo hits! - This famous peanuts from Hormiga St.in Binondo is the best. I swear, I can finish an entire bag. Before the week started my cousin invited me to check out this outlet shop of bags and shoes in my hometown. Dear friends, you have to be proud of me .... I never purchased anything. Hooray! 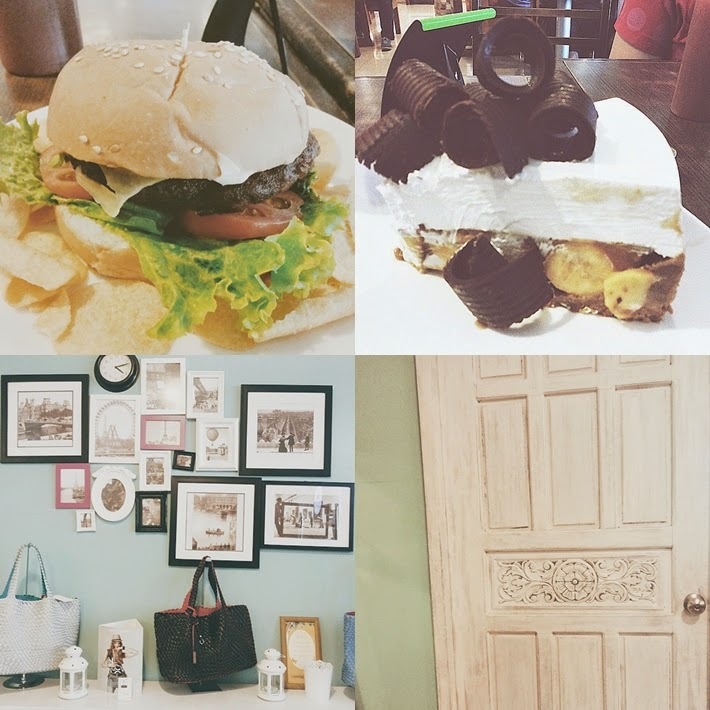 Hahaha I ended taking photos of the very nice store and treating myself to a slice of banoffee pie and homemade burger. I still have minor problems to address. On the morning of Saturday, I felt like the damage is beginning to further multiply. (Whew, breathe!) January is not my best month and I can't wait for it to end. Hopefully things will get better ... sooner. Ahhhh I want to try the Binondo Shanghai Rice and Buttered Chicken!!! All that for only P100? If yes then that's amazing! Cheap talaga! And that banoffee pie looks so yummy too! Naku! I feel you dun sa inis sa mga taong hindi ginagawa ang trabaho nila and would eventually affect others. Kainis pag ganun eh. OMG that was so fast. Thank you name mate for informing me. I'm accomplished to one friend already.